Alcoholism is an illness that is as severe and destructive as any other substance or drug addiction and it can trap people from all walks of life; rich and poor, young and old. 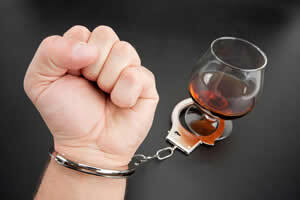 A person who is an alcoholic finds it impossible to function normally without his usual fix of a drink. An addict becomes physically as well as psychologically dependent on drinking and they use alcohol as a way to cope with their problems. This habit of dealing with mental and emotional issues with a drink slowly breaks a person’s resistant power until one day he is trapped in the dangerous web alcoholism. Seeking help from an alcohol rehab should be the immediate next step. Suffering from withdrawal symptoms – Alcoholics suffer from withdrawal symptoms if they abruptly stop the intake of alcohol. These symptoms are nausea, vomiting, increased blood pressure and heart rate, diarrhea, anxiety and depression. Uncontrollable urge and continual relapse – Alcoholics try to control or stop their drinking but often fail to do so because for an alcoholic quitting on his own is difficult without professional help.